It’s finally here, the book many of you have been waiting for: Motorhome self-build and optimisation by Ulrich Dolde. It’s the English edition of his original German book: Wohnmobile selbst-ausbauen und optimieren (3rd issue). This book (some even call it the bible for self-builders) is 489 pages thick, has +1200 images and 39 chapters. It also comes with an access code to a digital planning tool to create your own floor plan (MS Excel) and an electrical system planning tool (MS-Powerpoint). 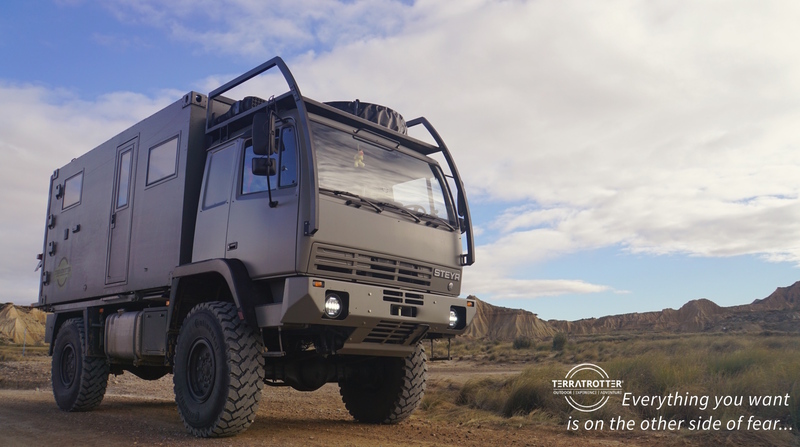 In the book Ulrich gives a detailed and chronological account of the build of his own expedition truck. Like we write our articles, he also includes the reasoning behind the choices he made and discusses other options out there. 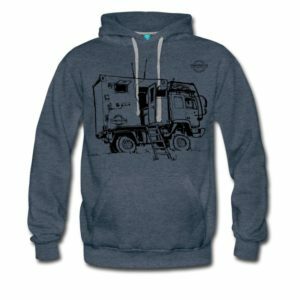 We bought the German edition (2nd issue) 2 years ago, at a time there was little to be found online about building your own expedition camper. It definitely gave us the confidence to build our own. Although many times we made different choices than he did, the book makes you think about what works best for you. Potential risk: The book is so thick that it might hold you back from reading it entirely or attentively. To help with that you can begin with more concise reports first, like for example our building articles and the book “Build your own overland camper” (click here to read our review of this book). This will not only give you a head start in the different components of the building process, it will also show you how other options are implemented and different trains of thought. Overall, it will definitely help you read the book with clearer questions in mind for which you try to find an answer. 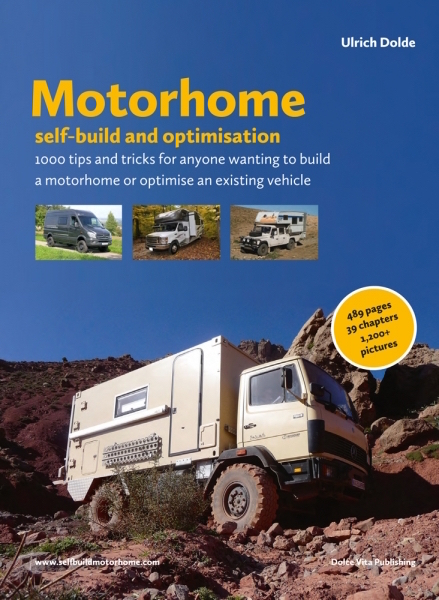 It’s a very comprehensive book which we would recommend anyone who is serious about building, improving or commissioning the build* of his/her home on wheels (regardless if it’s a van, bus, RV, 4×4 overland vehicle or an expedition truck). *Knowing what to take in consideration and what details to look for during the planning and purchasing phase will not only improve your satisfaction with the finalized vehicle, it will also help you spend your hard earned money wisely. The link leads to a German version of this book. When do you think the English version will be available? It only sells from the amazon.de but it ships internationally. Hope this works & Thanks for contacting us Clive! Wo bekomme ich die letzte Ausgabe dieses Buchs? Auf Amazon gibt es nur die von 2017. Ist das dann nicht die letzte Ausgabe?